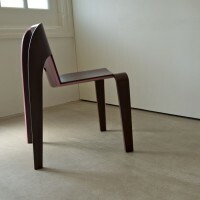 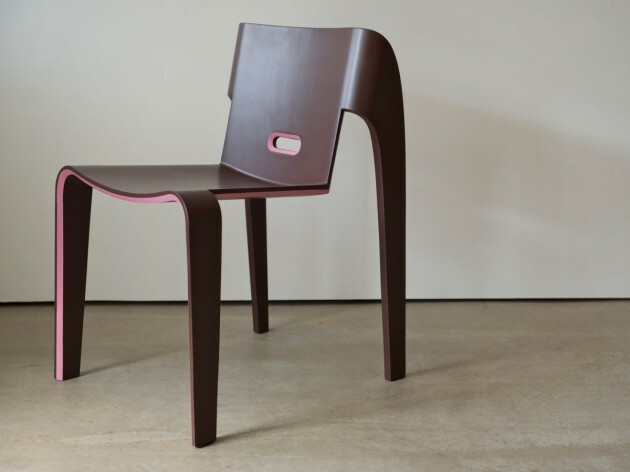 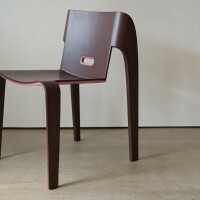 Korean designer Scott Lee Hae Seung has created the Bro chair and stool. 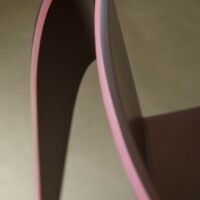 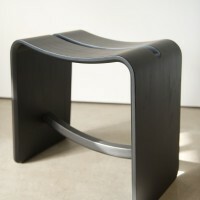 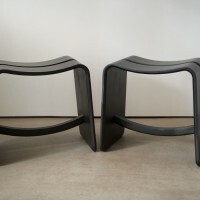 At the initial stage of designing ‘Bro’ chair, I was looking for new type of detailing to go with lamination bending. 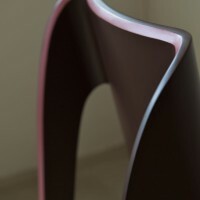 Of course from the manufacturing process, laminated wood itself has beautiful authentic details. 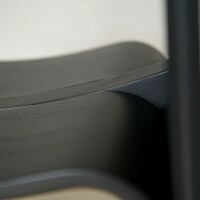 Since the invention of the wood lamination bending technique with the traditional detail kept as a common rule, I was trying to look for a well-matched detail in current visual era. 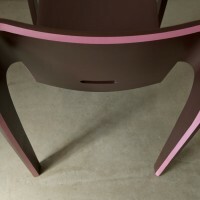 The chamfered edge (normally not done for laminated wood, but done in solid wood furniture) and applied a stripe of contrasting color to give it a graphical thin-edge-effect on the chair. 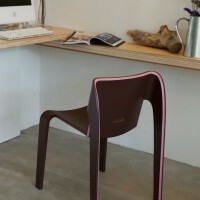 The meaning of ‘Bro’ chair; the name ‘Bro'(bridge in Danish), the colored lines represent the chair status, meaning when a chair is in use, it is forms the bridge between the ground and a human being. 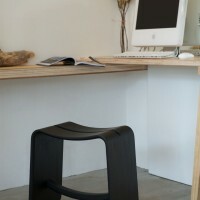 New type of detailing on stool; Multipurpose function – It can be placed around dining table as normal stool at cafe/ domestic space or side storage beside working desk at studio/workshop environment. 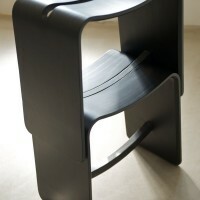 when the stool has stacked it become a shelving space as storage. 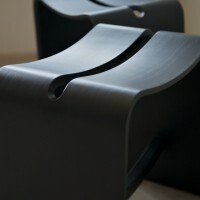 It is able to stack up to 4, similar height as low type shelve and stable from the vertical force (weight) by seat structure.